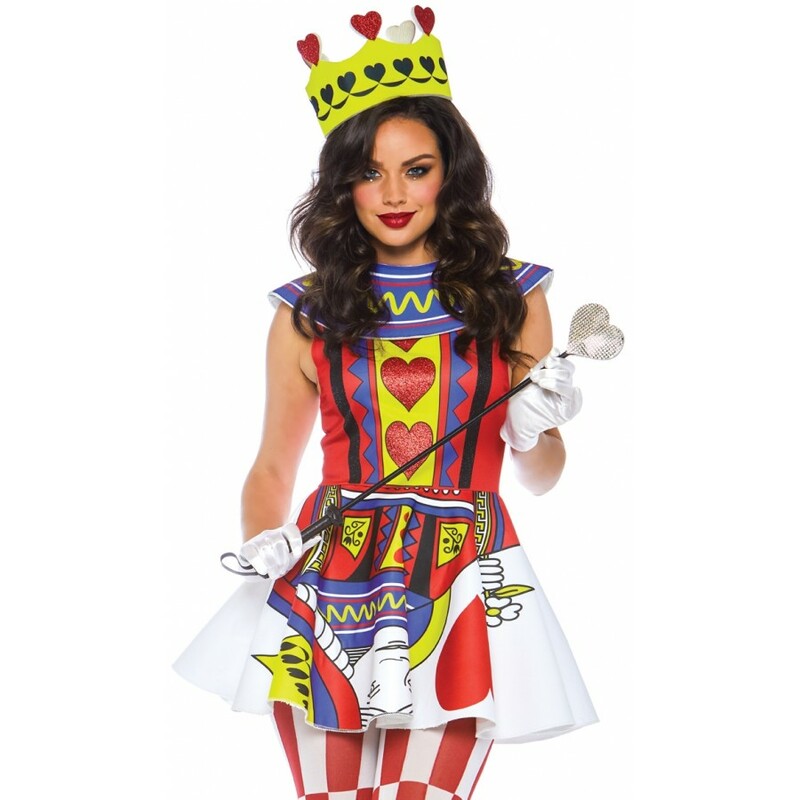 Queen of Hearts 3 Piece womens costume set has a fun printed mini skirt. 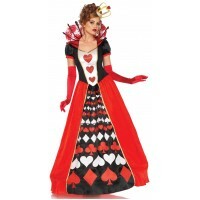 Be a Queen for Halloween or cosplay in this 3 piece Card Queen costume set. 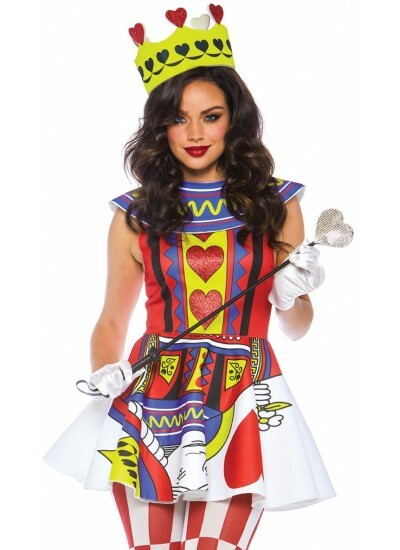 Costume includes the card print sleeveless dress with skater skirt and glitter heart detail, neck piece, and matching crown. Wand and other items shown sold separately. Item Number: LA-c86722 | Approximate Size (Inches): 10.00 wide x 2.00 deep x 14.00 high | Approximate Shipping Weight: 2.00 lbs. Card suits - hearts, spades, diamonds and clubs - highlight both vamp and heel of these cu..